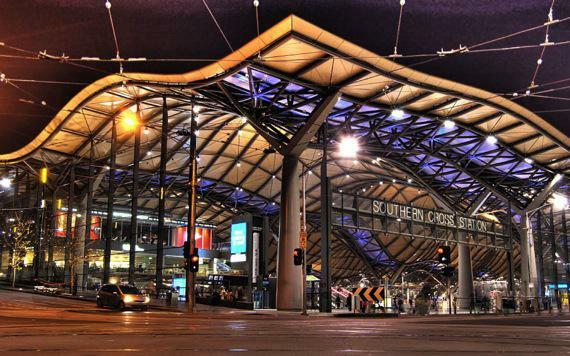 Large traffic numbers and strong retail trading results at Melbourne's Southern Cross Station have contributed to a wave of recent leasing transactions in one of the country's busiest transit hubs. The station has recently undergone an extensive refurbishment - believed to be worth between $20 to $30 million - by AssetCo, a specialist asset management company established to manage public private partnerships. The refurbishment has increased the gross lettable area of the station by approximately one-third to 6,600sqm. CBRE's Retail Services team of Zelman Ainsworth and Max Cookes have recently secured local hospitality operator In a Rush Espresso and mobile phone retailer Vodafone for some of the last remaining retail tenancies. “As there are approximately 47 retailers within the station with a further four sites proposed for the Bourke Street Bridge, it was critical the right retailers were secured which would complement the existing mix,” Mr Ainsworth said. Existing tenants include Woolworths Express, Hungry Jacks, Red Rooster, Pie Face, Sugar Station, Tower Sushi, Mad Mex and Grill’d, with some retailers having secured two retail locations within the station to service the high pedestrian traffic. Leading Melbourne restaurateur Paul Mathis is in the process of completing a 362 square metre restaurant bar which will trade under the name Network Bar and Pizzeria. The Network Bar and Pizzeria is scheduled to reach completion early July 2013.